Q: Is Silence a virtue? How? A: We are living in a world where everyone talks and no one listens. Every one knows that they have something profound to say and if only the others listens, they could be salvaged for good. Everyone also knows that listening is not important, even though nature has given us one mouth and two ears. Listening should be double than talking, ideally. But, that is not the case. Raise your voice, for the helpless, against injustice. That is a virtue. That will strengthen your character. That will establish your true nature of selflessness, if it is not done for selfish interests. Otherwise, Silence is a virtue. In the depth of deep spirituality, that is where we arrive. SHANTI (PEACE). It is stillness and silence. When we deliberately block words and allow mind to chatter, the society is saved from your contribution to the sound pollution. But, your inner chatter cannot lead you into spiritual growth. Silence is a virtue, provided, silence has happened to you and you are not forcing it. If silence becomes your spontaneous expression, it is a virtue. It shows your stature. That silence is deep, profound and fully energized. Silence should happen inside first and as a natural expression of your inside, it should happen in your daily life too. That silence is powerful and you will glow. When we become a victim of words, often our own words and opt for silence out of fear and fatigue, it is escapism from the reality. Escapism, like suicide, is absolutely useless under any circumstances. If silence happened due to death, that is beyond our control. We had no control over that silence. It was a natural phenomena. If silence happens out of increased awareness and a deep establishment on stillness within, it is realization, a virtue. Deep silence is being-ness. Sound amounts to doing-ness. So, silence is a virtue – but again, it depends!!! Q: What do you like to wear? Did you ever feel that you should conform your clothes to your stature? A: Never. The answer to the first question is – NOTHING. Even when I wear nothing, I am clothing my soul. My body is the dress of my soul. I have worn many such dresses in the past. And eventually, I have always left the earth, as a naked soul. I never felt that I have to conform to anything terrestrial, let alone dress. I wear clothes just because the society demands it and has very strict rules about acceptable dress codes and obscenity. I prefer loose, airy, roomy clothes in which I can feel unclothed or Jeans and T shirt. Anyway, end of the day, we all are naked individuals. Born alone, will die alone. Some people even live their whole life alone, mentally, seething in selfishness. So, I never felt that I should conform to anything that is transitory. This whole existence is transitory. What can you hold as permanent? This aging body? This changing mind? Fragile thoughts? Compelling Habits? Changing environment? Thank-less social system? Greed? Depressive attitudes? Transitory feelings and emotions? Conditional Love? Mushrooming people? Inevitable death? Physical, Mental, Intellectual, Spiritual Ego? Ever changing knowledge and understanding of life and existence? Ignorance of our true nature? Intellectual understandings? I could not find anything that is worth holding on to, till now, except the ever present soul. If you have found something on earth which we can hold on to, please let me know. Now – Tell me the truth – for most of us, isn’t this vibrant clothing a deliberate and feeble attempt to hide our insecurity? Are we not hiding from something? Or, we are just surrendering to the social norms. Aren’t we afraid of our nakedness? Aren’t we living our many fears? I am not propagating nakedness. That is up to you. I just want you to think and understand where we stand, in a world of expensive clothing and related pomposity. Just be aware. IF I actually fear that unless I conform to a certain style or fear that people will ignore me because I am not conforming to certain clothing or socially approved mannerism, consider that I am not worth your respect. Consider that I am an ignorant man not worth following. IF I feel that clothes enhance my stature, I am wrong. If I feel that clothes will establish a certain image in people’s mind about me, I am pathetically silly. I am not worth your time anymore. if people cannot identify the real me behind the physical frame and uttered words, I am not expressing enough. Then again, I am ignorable. So, please understand that non-conformity is liberating for me. I am not bound by anyone’s expectations. I am not bound by anybody’s thoughts. I live liberation. I may or may not clothe “properly”. I will still remain as naked as I was born or at the time of funeral. So, non-conformity might confuse people, but, there is stability behind all confusions. That is the stability that I am inviting your attention to. That permanence is liberation. It is unbound joy. Look at avadhootas and how effortlessly they express their unbound liberation!!! 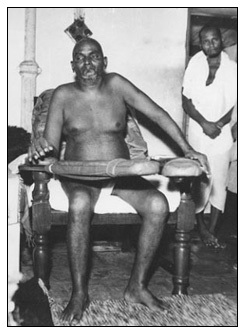 Look at Shirdi Sai Baba, Bhagawan Nithyananda, Ramana Maharshi. Learn. Be unbound. Receptivity is Your Discretion. The more the faith, the more you will receive..
Q: What is the source of your meditations? A: Universe. Where else can you source anything from? Everything comes out of the universe and merges back into the universe. Nobody is apart from it and nothing can be created by man, per se. We are only sourcing materials for a purpose, while existing in various levels of consciousness. Everything is downloaded from the universe. I own nothing. Nothing is original. While existing at a particular frequency, we access a particular information. We de-code it and pass it on for the benefit of others. When we start owning it, the grace element disappears. When we try to make a name and ego associated with it, the purity gets wiped out. Then the whole exercise becomes useless chaff minus grains. God has left us the basic raw materials. Man is only trying to figure out what combinations of these raw materials gives maximum happiness if combined together. This meditation is not created by me. It happened to me. I delivered it, in its purity and thats why you are getting the results. Grace happens when purity is at its optimum level. Who can patent God? Who can patent God’s gifts? God’s creation? It is foolishness to think that we are original and all our thoughts are also original. These thoughts have happened in many minds before. Some were clear and some were blurred. The more the clarity, the better will be the expression. Lesser the clarity, more will be the confusion. So, there is nothing to be proud of. There is nothing to be owned. We are all temporary custodians, performing in the orchestra that God conducts. He does His job well. There are no mistakes anywhere, because He Himself created the world order, its symmetry and synchronicity. If we understand this aspect, we will also do our part very well, without our mind stuck with the result of the show or fruit of the effort. Thats up to the conductor. He runs the show, not us. Once again, all meditations were given to me. I am delivering it with optimal purity. Q: Are positive results guaranteed in our meditation? A: Doubt is the enemy of spirituality. Doubts block progress. Doubts block faith. Blind faith is bad, just like emotional criticism. But, creative criticism is good. Criticize something for the purpose of gaining more clarity about it; not to destroy it. So, results are up to you. How consistent are you? How dedicated are you? Are you fast food oriented or do you entertain patience to cook and eat a healthy meal? Do you read hair-raising fiction or books on lives of saints? Do you keep your house filthy? Do you procrastinate? Do you walk around with a filled cup of intellectual trash? Is there room in your mind to take on new experiences? Are you brave enough to experience or daring enough to jump upside down into spiritual experiences? Do they scare you? Are you guided by your own experiences or others words or book knowledge? How deep is your devotion? 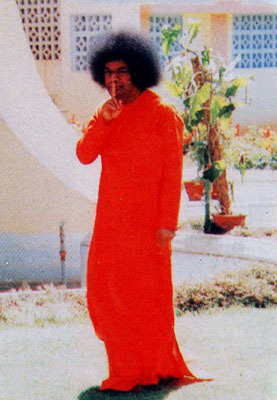 Is your devotion transactional; that is, does your devotion ends where results are not satisfactory? Do you get all what you expect? I have to ask you all these questions. You are expecting me to deliver experiences all the time. I am doing that too. But, what are you doing? What is your contribution to yourself? You are expecting a lot from me. No problem, I will give as best as I could. What can I expect out of you? At least sincere practice and faith? When ever you expect lots from others, just for a moment think – what are you giving to them in return? I do not want your money or goodies. All I want is your whole-hearted attention and openness to receive. Do you think I am arrogant to ask such questions? Consider me so, it does not matter to me because my intentions are unselfish. Results are directly related to your capacity and openness to experience other realities. Each gets what they deserve in our meditation. This is for sure. This is our experience in the last 3 years. Many come with filled up buckets of spiritual expectations and trash. What can I give them? Even if I give them something, unless they trash their junk, how can they carry it home? I shall deliver, provided you can receive and save. Meditations are powerful. Just let go, unburden yourself and come to me with empty minds. You can take home the celestial nectar. Nobody can eat the whole buffet. You can eat only as much as your belly can accommodate. Eat only as much as you can digest. Over eating will lead to stomach disorder. In spirituality also, walk the strides that you can easily take. Never walk or run to keep up with another. If you do that, it will be a BIG mistake. When ever you approach a Guru, do not go there to test your mettle against His. You should meet a Guru with an attitude of surrender. A willingness to receive and ability to assimilate the pearls of wisdom that you might gather there. No words happen by accident. No thoughts are unnecessary. They all come out of the substratum which makes you and your expressions. They are important for you. So, faith as one leg and patience as the other, walk to the glory of spirituality. You will reach the realms of your Father effortlessly. Destroy expectations. Destroy ego. You will see the light. Nobody can give you experiences until you are ready to receive them and experience them. Hope this matter remains clear in your mind. A: Who wants to compare? Who are you comparing? Me? And whom are you comparing with? Why? From which level are you comparing? Can a 5th standard student understand the awareness level of a post-graduate student? Why do we compare at all? These are all wasted exercises. Utter waste. Instead, Chant the name of God. Surrender to Him. Understand that all of God’s creations are unique and never identical. Nobody can compare anything with anybody. Live that uniqueness. Express it. The competency of your Guru will be equal to your receptivity. Understand that clearly. You will not get a 10th standard tutor while still in 5th standard. Grow up. You will become eligible for higher masters. At that point of time, you will realize that all masters were one. All have same expressions. All are children of the same father and there is no difference between the Guru and you. Then you win the test of life and touch the realms of non-dual reality. A: Astrology is science. I respect it. But, please don’t send your astrologers to me to check my horoscope. Be satisfied with yours. I do not know how you felt that I might be interested in astrologers or palmists or face readers!!! Did you feel that I am too insecure? Friends, I am not eager to know my future. If they say that my future is great and bright, the maximum that I would do is smile. If they say that my future is very bleak, still I will smile. So, please do me a favor, do not send them to me. I do not have much insecurity, by the grace of the Lord Almighty. I am ready to accept what ever He wants me to endure. I have endured a lot – much more than you can imagine – in the past. I am not scared to face my future, head on. I have observed that most of these astrologers are not doing astrology as a passion. For many, it is a profession. First, they will tell you what you like to hear – some bright story about your future. When you are thus pleased, they put some fear in you about some inevitable catastrophe ahead in your life. Then they will propose remedies such as poojas, gems or stones. Thus they bleed you from your money and possessions. Your otherwise secure future will become insecure when you have lost all the money. And many people, like donkeys – (poor animals do not know why they are carrying all the burden that they always do), carry a lot of stones and metals on their body – just to feel “future secure”. Anyways, I am only living in the present and the future does not give me any fear. Once again, I am not against astrology. I am only against those who create fear in you. Our path is that of fearlessness and liberation. Avoid all those who put junk in your mind.Thank you for your kind understanding. May your future be as bright as the ever-benevolent sun. Q: What shall we do for you? A: Serve the humanity for me. Serve the helpless of the world. Be kind and compassionate to the less fortunate. Feed birds and animals. Never capture them, bind them or kill them. Love all beings. Empower and liberate as many beings as possible in this life. Do not count your positive action. Just do it and do another and another. Do not expect thanks or gratitude from anyone and do not be disappointed if you did not receive applauses. Help the helpless not considering the time or space. Just entertain an attitude of gratitude and compassion. When ever you feed and help other beings, I feel deeply satisfied. Otherwise, I need nothing from you. Q: What is your future agenda? What is the ideal agenda for a seeker? A: Nothing. I am not living my agenda. I am living the Universal agenda. If I cannot make an agenda for myself, what can I give you? The agenda of any captive soul (that which resides in any body) is ultimate liberation from the birth-death cycle. I hope your ultimate agenda is the same. I am the subtle living in the gross. My collaboration with the gross is only for the expressions. Once need for expressions cease, I will leave the gross. When and where is immaterial. Time and space is immaterial when we live beyond time and space. Consciousness which is everything never existed as a unit and never ceased to exist as a conglomerate too. All are one. You and I are one. God is One. We are God. 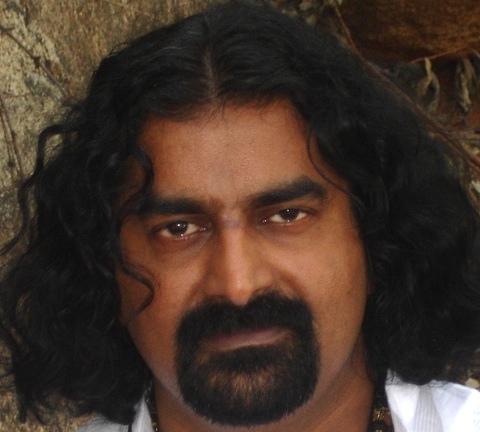 Shivoham. I am Shiva. Powerful and clear. What a joy. Just beautiful. Your ‘uniqueness’ is your naked truthfullness.Your hard hitting, blunt and clear cut messages pierce my heart and satisfy and silence me so much, that nowadays I do not feel like giving my mind a chance to even think (I need not explain how I used to be). With deep gratitude to the Almighty and the lineage of the Gurus for making available Mohanji to me in this physical life. Thanks once again. Has helped me to get the basics right and move ahead in this journey. I like when people speak their mind regardless. Shaktipath in its highest depth is shivapath. The purity of receiving this amazing energy just can’t be put in words, however vivid one can attempt to describe this experience. REGD ASTROLOGERS ONLY YESTERDAY, I WAS DISCUSSING WITH ONE OF MY RELATIVE AND HE MENTIONED PLEASE DO NOT GET INVOLVED WITH ALL THIS HOROSCOPE BUSINESS HAVE YOU LOST FAITH IN GOD ?JUST LIVE IN PRESENT. THANKYOU MOHANJI FOR CLEARING MY DOUBTS.